For directions from where your are, please click on the location marker below. We validate for discounted parking at the Harvard Square Garage, located on the other side of our block on Eliot Street. For directions to the Harvard Square Parking Garage, please click HERE. The Charles Square Parking Garage is located underneath the Charles Hotel on Bennett Street. For directions to the Charles Square Parking Garage, please click HERE. The University Place Parking Garage is located on the corner of Mt. Auburn St. and University Road, behind the Charles Hotel. 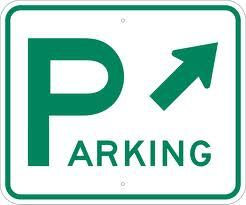 For directions to the University Place Parking Garage, please click HERE. Can I reserve a table outside on your patio? Nothing is better than enjoying the warm weather (when it finally arrives!) outside on our lovely patio. The patio is seated on a first-come, first-serve basis for complete parties only. During peak season, we seat for full lunch menu between noon & 3pm; for drinks, appetizers & oysters between 3 & 5pm; and for full dinner menu after 5pm. Reservations are not accepted for patio tables. However, when you speak to a reservationist or book online, please make your preference for outdoor seating known. We always note requests and try to do our best to seat guests where they will be happiest. Unfortunately, since it is never possible to predict the volume of business at any given time, we are not able to promise that your request will be granted, but we always try! It is always an option to enjoy a cocktail and wait for the soonest available outdoor table, or allow us to seat you at a table in our lovely main dining room. Can I reserve a table by the fire place? Can I reserve a table for oysters? Regrettably, we are unable to make bookings if you are planning to come in to enjoy our phenomenal oyster special. Reservations made for our main dining room between 5 & 11pm are for full dinner menu only, and a minimum charge can apply when guests are seated there solely for oysters & drinks. Oysters & drinks can be enjoyed any time in the bar, and until dinner hour begins on the patio, every day that we are open. We hope you will come often to enjoy this wonderful deal on fresh oysters, but we also hope that you will be respectful of our policy and our other guests who are there to enjoy dinner. Can I rent out the whole restaurant for a large event? Do you have birthday cakes? Can I bring my own? The red house has a wonderful selection of desserts, and we are happy to light a candle on one of them and help you sing Happy Birthday to your loved one, but we do not sell birthday cakes. If you would like to bring your own celebratory dessert, there is a plate charge of $3.50 per person. Can you make a special menu for my party? Is it a prix fixe? A set menu is a great thing when you have many guests. When your guests sit down as part of a large group, they are much more interested in chatting with one another than in studying a menu with 30 choices on it! A set menu is a great way to narrow those choices down a bit while still giving them a nice range to choose from. The pricing goes according to the regular a la carte prices you see on our lunch & dinner menus, it is not a fixed price. You can choose what items you would like to offer and we can personalize it with a special heading or company logo. The menus are printed and presented in menu jackets for your guests to order from. When you make your reservation, let us know if you’d like to create a menu, and we will be happy to assist you. Is it true that the red house is affiliated with Charlie’s Kitchen? Yes! The owner of the red house, Paul Overgaag, purchased Charlie’s Kitchen from the original “Charlie” Lambrose in 1998, and vowed to keep it the same great Harvard Square institution it has been for the past 50+ years. At that time, Paul was the owner of Giannino’s, another great Harvard Square spot. Since owning Charlie’s, he has added the wildly popular outdoor Beer Garden, as well as sidewalk seating. Charlie’s is still the best place in the square to enjoy a burger and a beer, or to choose from a whole menu of wonderful items for short money. It is a go-to spot for students, faculty, locals and visitors alike. If you have never experienced it, what are you waiting for? Visit Charlie’s website, here. Other questions? Call us or stop by! See you soon!